UTG just received an official statement from Victory Records regarding the lawsuit filed against them. In the statement, Victory’s Robert S. Meloni attempts to clear up any confusion and state their view of the situation with A Day To Remember. Recent reports of claims filed by the Victory artist A Day to Remember (ADTR) in litigation presently pending in US District Court in the Northern District of Illinois (a case that was just transferred from Nashville upon Victory’s successful motion based upon improper venue) have misleadingly stated that the principal issue in the case concerns the payment of royalties. The lawsuit, filed shortly after the band hired new management, is really about the band’s refusal to fulfill their 5-album contractual commitment to Victory and their newfound desire to move to a major label. Recycled and often apocryphal stories of misguided and unsuccessful attempts by a few Victory bands to jump ship from the label that put them on the map have one common truthful thread; they always end badly for the band. In those cases, the bands eventually seek reconciliation and often ask to return to the Victory fold after having been disappointed by their post-Victory experiences. Victory is confident that this dispute will be resolved to the satisfaction of both the band and Victory, and that ADTR will continue to deliver great music to Victory in the coming years. 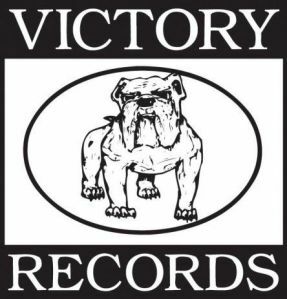 Victory continues to honor its commitment to ADTR by placing its significant resources behind the band’s current album, What Separates Me From You, which continues to climb the charts and meet or exceed Victory’s expectations. The band, in the meantime, has enjoyed the benefits of the hundreds of thousands of dollars in record royalties generated from their album sales, which Victory accounts for in full compliance with its contract. Victory’s job remains the same- work hard, sell records and abide by our agreements.